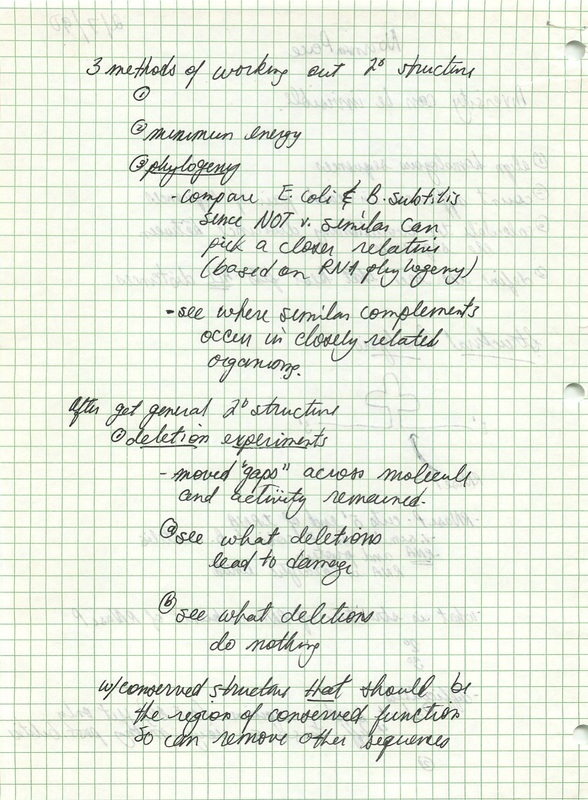 Retroblogging seminar by Norm Pace on Invisible Diversity from 1990 – microBEnet: the microbiology of the Built Environment network. 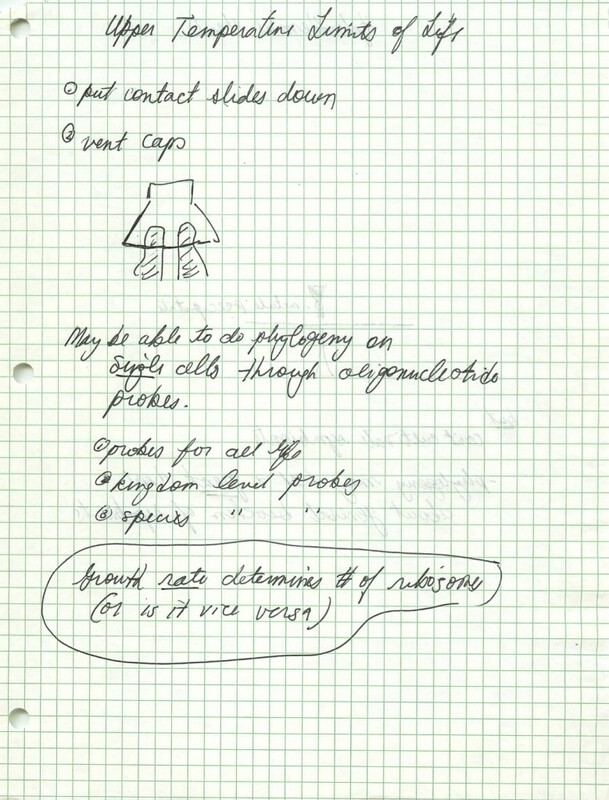 Continuing on my theme of scanning in notes from old seminars of interest. Here is one of definite interest to the microbial diversity crowd. 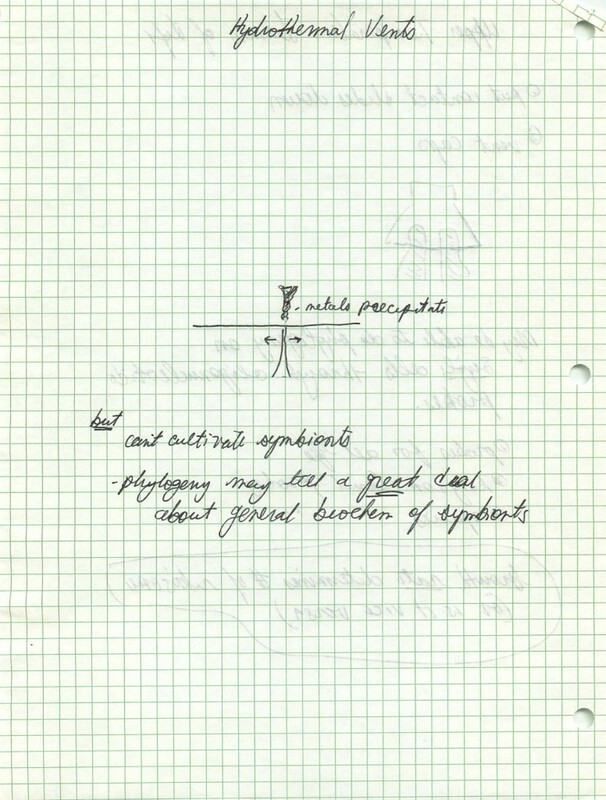 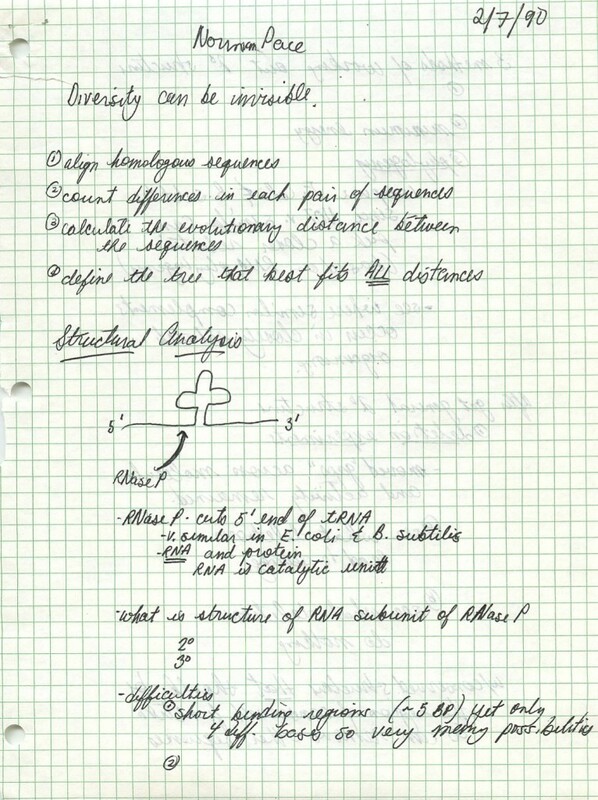 These are notes from a talk by Norm Pace on February 7, 1990. 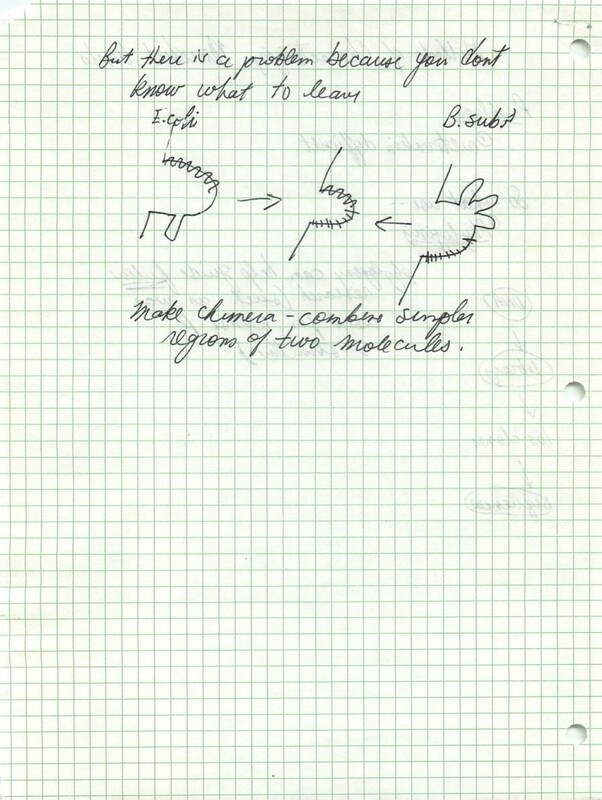 My entire career was massively affected by interactions (mostly indirect) with Pace when I was an undergrad working in Colleen Cavanaugh’s lab. And this seminar definitely made a big impact. 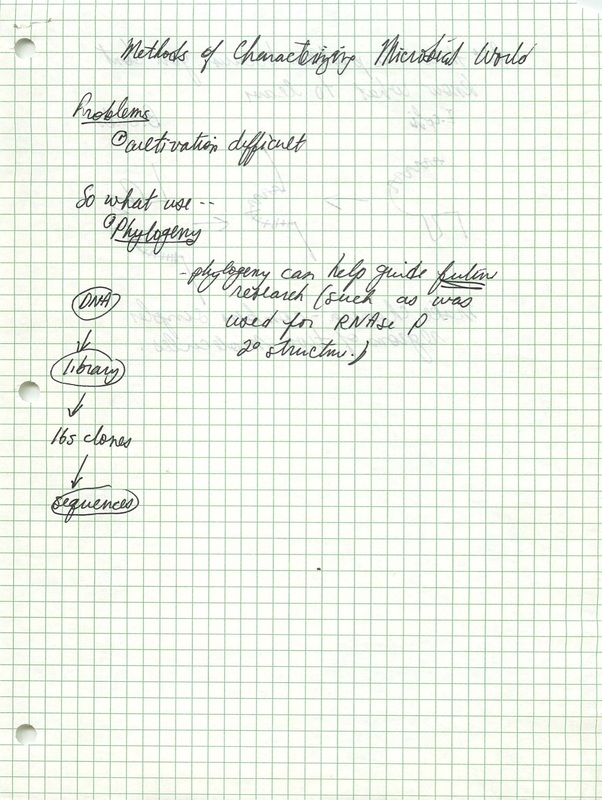 (I have extracted a few key lines and zoomed in on them below). If other people out have notes like this and want to post them here, please let me know, that can be arranged.